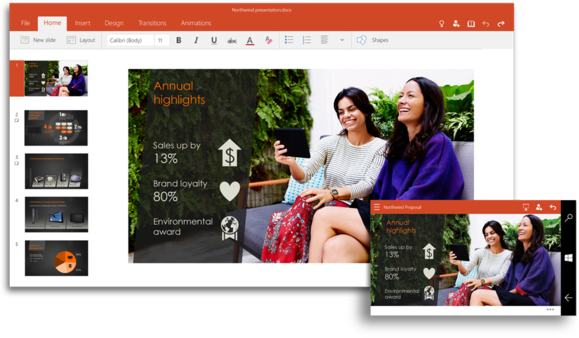 A couple of weeks ago, Microsoft announced its touch-friendly Office for Windows apps would be arriving on Windows 10. Now you can try them out for yourself. 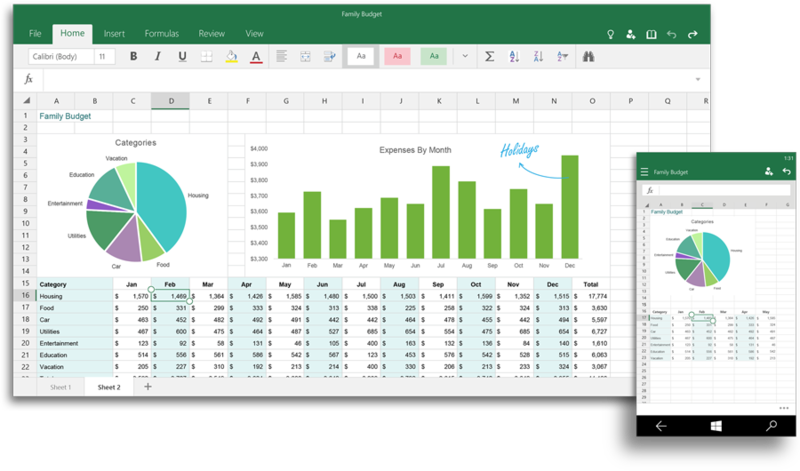 In an update to the blog post announcing the apps themselves, Microsoft said that preview versions of Excel, PowerPoint, and Word were now available for those who had installed the Windows 10 technical preview, via the new beta of the Microsoft Store app. At press time, however, there appeared to be a bit of confusion in how to find the new apps. Searching for the apps on the Windows Store proved fruitless, and the blog post where the apps were originally linked was rewritten to remove the links. However, Microsoft sent PCWorld the links to the apps (which are linked in the previous paragraph, above) and the downloads appear to work. On Jan. 22, the day after Microsoft announced the Windows 10 technical preview for consumers, Hololens, and Windows 10 for phones, Microsoft detailed its plans for the future of Office. Microsoft said that the Office for Windows 10 apps, like their counterparts on iOS and Android, would be free to use (and preinstalled) on Windows 10 phones and small tablets—no Office 365 subscription required, apparently. But Microsoft's new apps also hint that some features won't be available unless you also have an Office 365 subscription. 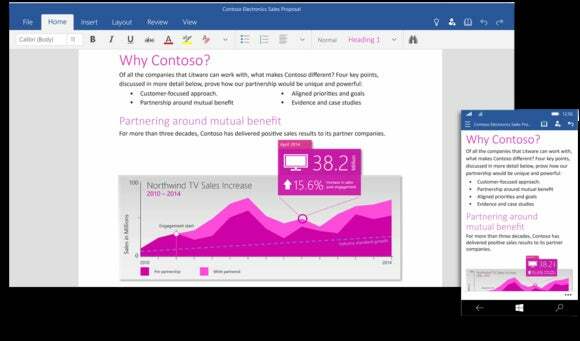 A separate suite, Office 2016, will be designed for businesses and cost extra, but Microsoft isn’t saying how much. The desktop productivity suite will ship in the second half of this year—yes, 2015, though the suite carries the Office 2016 name. "Universal" PowerPoint for Windows 10 tablets and PCs. The new "universal" apps that are available for download look very much like their counterparts on the Apple iPad and Android. Images can be moved around a page layout, for example, just by swiping them with a finger, and columns can be rearranged or added to in Excel via touch, as well. Why this matters: Microsoft's Office for iPad apps were well received, but there was always a sense that Windows users should have benefited first. That may still be the case, but Windows users now have a new OS and new touch apps to play around with. Which begs the question: will Microsoft offer free upgrades to current Office subscribers, as it has done with Windows 10? We'll have to wait and see.